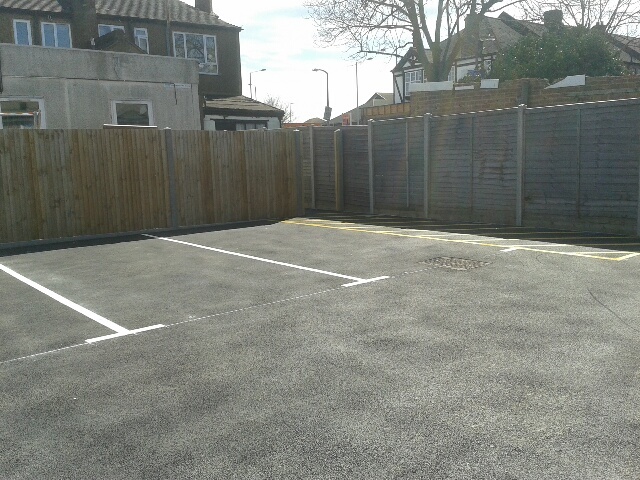 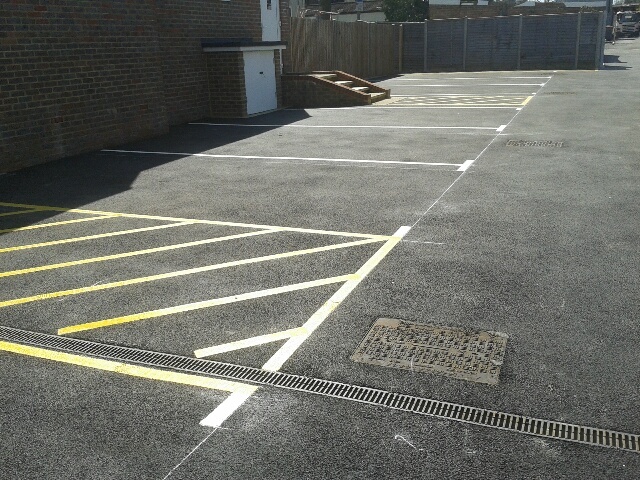 Markings to Parking Bays and Hatched Areas. 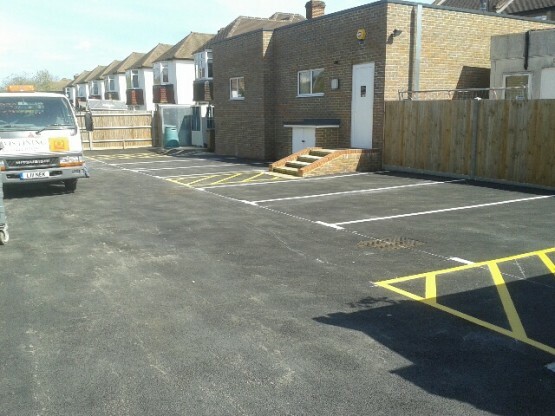 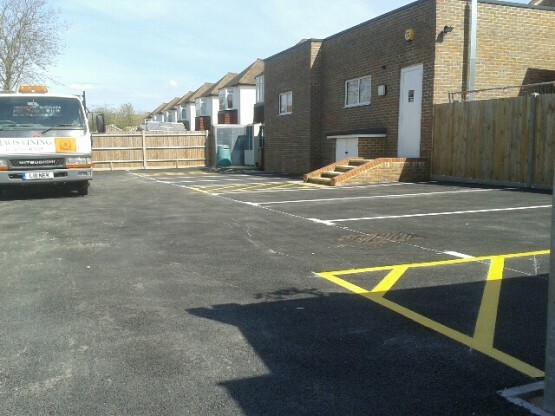 Customer wanted the rear car park marked with parking bays and keep clear areas – maximising the number of bays to the space available. Our operatives were able to offer advice regarding the layout and size of bays etc. 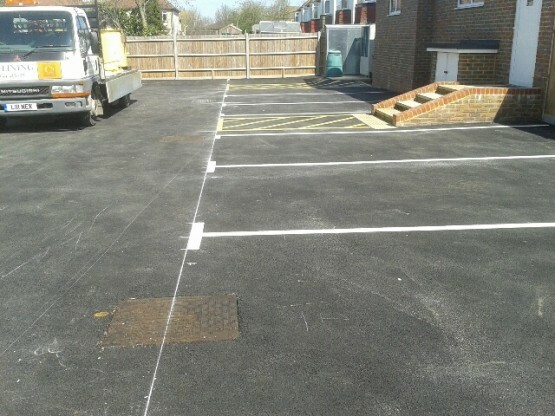 The markings were applied using white and yellow thermoplastic material to a new tarmac surface.